Dentures are artificial replacements for missing teeth. As they are custom made so can be taken out and put back into your mouth.Furthermore they will replicate the presence and appearance of your original teeth and so will help you to eat and speak more comfortably.There are mainly two types, Full and partial. Your dentist can explain which option will best fit with your lifestyle and concerns. These are recommended when all natural teeth either in your upper or lower arch or both set need replacing. This is recommended when one or more natural teeth need replacing. In this case alignment of remaining teeth will be maintained thus keep them from shifting. 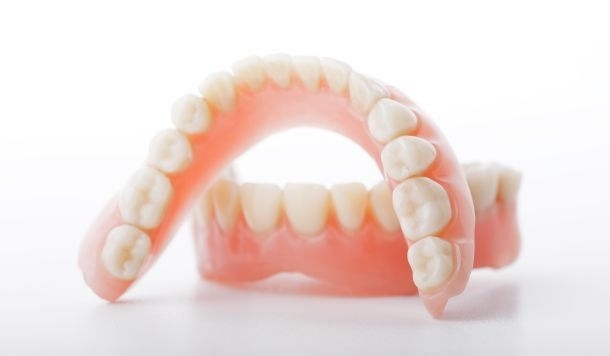 Immediate dentures are made when teeth are extracted on the same day that the finished dentures are inserted. They are different from regular dentures and no healing time necessary and the initial fit will be much better because the impressions will exactly reflect the soft tissues on which the denture base rests. With immediate denture construction, there is an approximation of the fit of the denture base. Because the teeth are still in place when the denture is being constructed and tried in, the fit will not be as exact initially. Immediate dentures are made so that the patient will not be forced to be without teeth while the gum tissues heal and the remaining tissue ridges reach their final shape. This final healing can take 3 to 6 months after the teeth are removed.